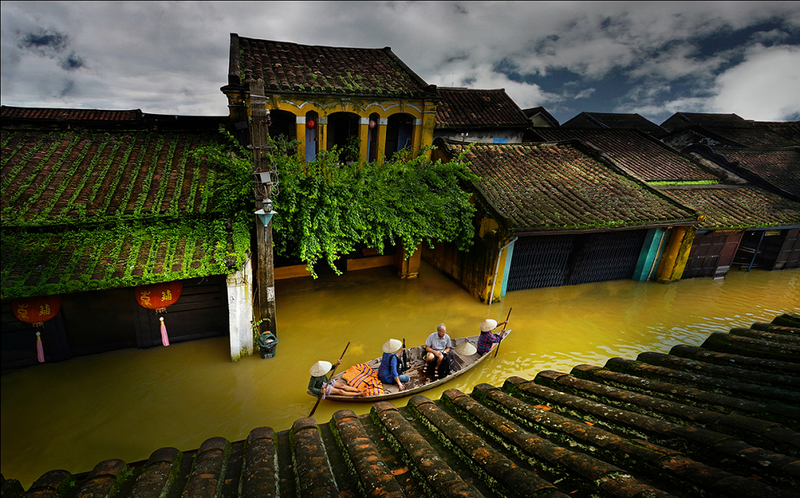 Have you already reserved your flight tickets for Vietnam itinerary 3 weeks? Are you wondering where to go, what to see or how to spend your time and money? Here is what exactly you are looking for to plan and enjoy the most highlights that Vietnam can offer. 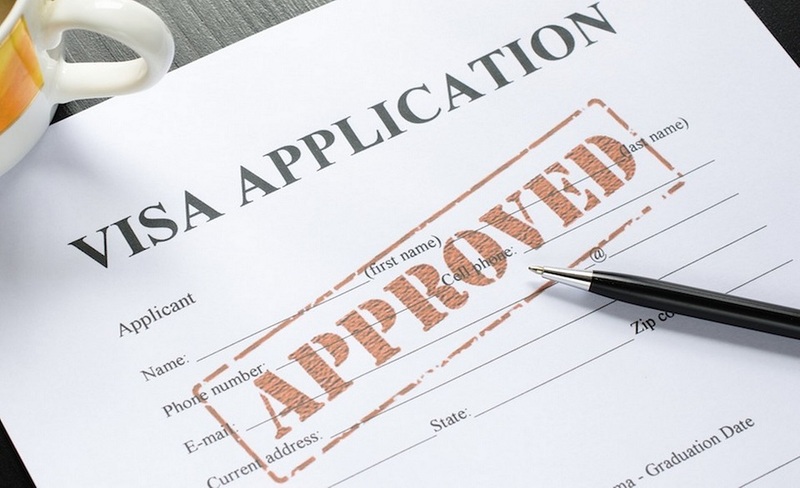 Do I need visa to enter Vietnam for 3 weeks? To enter Vietnam, you must have your own passport which is valid for at least six months; and depending on each nationality, the visa is required in advance or is exempted. For the rest of countries, you should contact the Vietnam Embassy/ Consulate in your country before traveling to Vietnam; apply Visa on arrival with the trustworthy travel agencies; or arrange E-visa on your own to be well prepared for traveling to Vietnam within 3 weeks. For travelers who plan to visit Phu Quoc Vietnam for the whole period of 3 weeks, you will find this policy great. It is that the foreigners’ passport holders are exempt from visa requirements to Phu Quoc island for no longer than 30 days. If you transit through other international airports in Vietnam before arriving Phu Quoc, you are still eligible for the exemption. Due to its long and thin S-shape of the country, the weather in Vietnam differs greatly among the regions: North, Central & South. To enjoy the most of each place, you should be more prepared for researching the weather in each place and choose the period that fits for all places within your Vietnam itinerary 3 weeks. Normally, there are high season & low season when you travel to Vietnam. The high season is from October to April the next year for its dry and cool weather; while the low season starts from May to September for the hot and humid summer time. 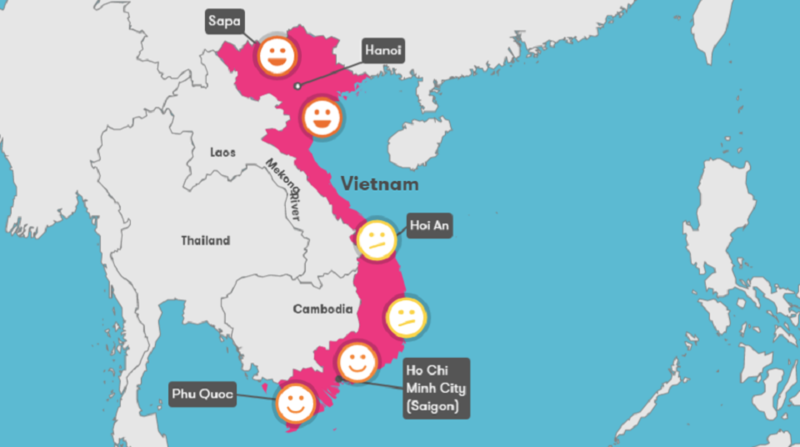 From my own experience, the best time to visit Vietnam is from December to April with less rainfall and milder temperature in almost all places. But if you only have summer time to relax from April to October; so is this feasible to visit Vietnam? The answer is Yes, this is the monsoon/rainy season of our country but also a great time for our domestic tourists when the family can enjoy altogether. Traveling in this period, you should be more aware of trekking or adventurous activities to avoid any dangers; but it will favor for any beach lovers in the Northern & Central parts with pristine beach of shiny weather. For the other places with daily showers in the wet season, you are advised to prepare a flexible itinerary in case of any delays caused by the weather. 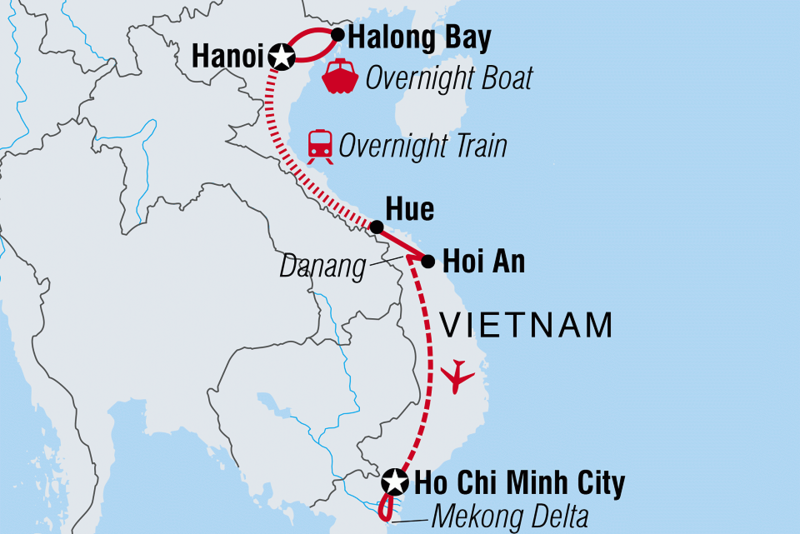 Along with the tropical monsoon climate, Vietnam is sometimes affected by typhoon season which can see severe storms attacking the Central coast from October till early December including Quang Binh, Hue, Da Nang and Hoi An so by knowing clearly about the weather fact, you can definitely plan for the smooth trip. Where to go in 3 weeks? If you want to shorten your leisure time for this itinerary, you can think about adding Ninh Binh Province in the North, spend time joining a countryside trip in the Central (Hoi An & Hue) and visiting further places of Mekong Delta. Finding ATM’s in Vietnam is quite easy in almost all cities except for very remote and rural area. The fee is applied for any withdrawal but it is much better than bringing cash with you for such a long travel time. You can find the ATM’s at any airports, around the streets, near the restaurants or your accommodation. And of course, ATM machines only dispense Vietnam Dong as our official currency. 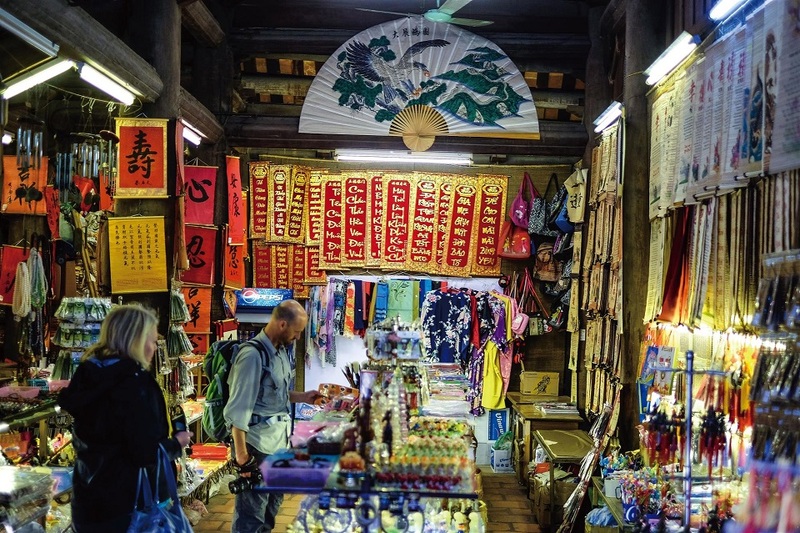 As Vietnamese is the mother tongue of the country while English is not widely spoken among the citizens, you can only find basic English spoken at touristic sites, hotels, souvenir shops, etc. So it is important to learn some popular phrases that help you throughout the trip. Do not forget to have a hotel business card from the reception desk that will make it easier for you to return after going around. Bring tissues with you everywhere in case of many toilets have no toilet paper. Laundry service can be found everywhere from your hotels/hostels or outside the hotels so you only need to pack your clothing for one week and let the laundry take care of the rest. When you come back from busy day tours, the perfectly fold clothes are ready for you. There are a lot of places to explore without much guidance on spot but if you are short on time and seek for a detailed insight into the cultural and natural values of the touristic sites, an organized tour is a good option. Having your all inclusive package prior to departure will be perfect. But if you prefer a few leisure days on your own, you can totally book the day trips or short package tours that may fulfill your time and experience; such as Halong Bay overnight cruise, the full day city tours, biking/motorbike tours or home-stay in Mekong Delta. Besides, if you’d like to combine Vietnam, Cambodia and Laos for your Indochina tours 2019, this Far East Discovery 22 Days tour could be a perfect option. 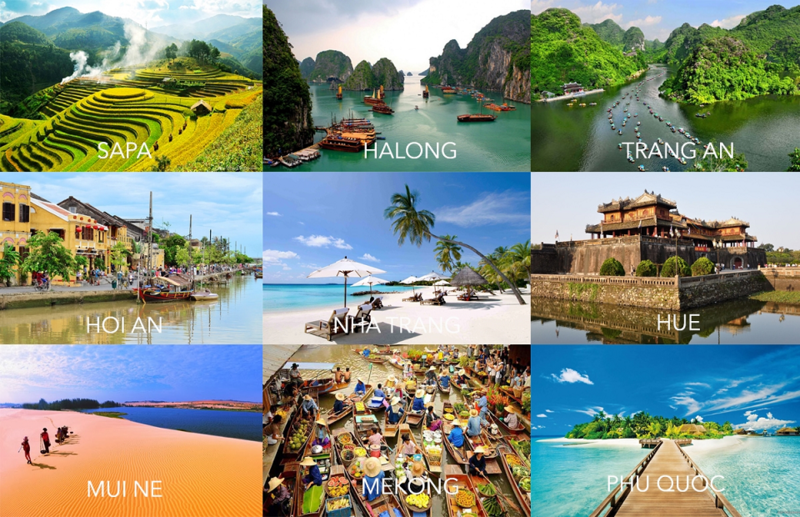 Hopefully, this ultimate travel guide will help you plan a perfect Vietnam itinerary 3 weeks. Also, it will certainly give you plenty of fun things to do and to see for your wonderful holiday.